Rev. 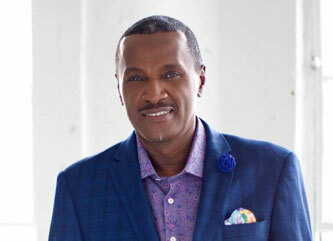 Dr. Leon Campbell has been the Director of the Agape Youth and Family Ministry at Agape International Spiritual Center since 2004. He has developed a comprehensive youth curriculum featuring original programming encompassing self-expression, creativity, spiritual practice, sacred rituals and service projects for youth of all ages. As one the largest spiritual youth communities in the country, Agape serves over 1,000 children per month. During his tenure Leon has established: Agape’s first week-long eCamp, a one-of-a-kind Summer Youth Camp and Festival located at Cedar Lake Camp in Big Bear, California; the Agape Youth and Family Artist in Residence program, a six- to eight-week workshop in which professional artists from the Los Angeles area offer instruction in a variety of creative modalities, culminating in a performance or exhibition; and the Young Men’s Mentoring program along with College Connections, a program which assists youth in researching colleges and securing funding for higher education. As the director of the Carl Anderson Scholarship Memorial Fund for the past seven years, Leon has secured over $173,000 in scholarship funds for more than 80 youth. His work with youth education continues as the Co-Executive Director of the Agape CDF Freedom School, a summer literacy program that partners with the Children’s Defense Fund to engender a love of reading and healthy lifestyle habits in children. Leon co-partnered with CosmiKids, Inc. to create national conferences on transformational parenting and teaching, recruiting leading-edge speakers and facilitators on various subjects such as learning styles, educational innovations, autism and enlightened communication. In addition to his work with Agape’s youth, Leon has also directed Agape’s I AM Men’s Ministry for the past 17 years.